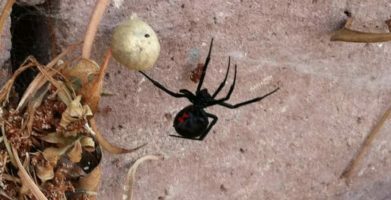 What would you do if your home was infested with poisonous spiders? It sounds like a horror movie plot, but that is exactly what happened to a family in Missouri. After buying a beautiful, golf course home, the family found out it had an extreme brown recluse spider infestation inside. Although brown recluses have a venomous bite, they aren’t aggressive by nature and play an important role in their ecosystem. All the same, they probably don’t make good roommates! AKA violin spiders or fiddleback spiders due to violin shaped marking on back. They are light tan to dark brown in color. They have six (6) eyes, as compared to most spiders which have eight (8) eyes. Bites can cause necrotic skin lesions. Brown recluses are usually found in the Midwestern and south-central areas of the United States. They prefer to scavenge dead or dying insects rather than hunt live prey. As the name would suggest, they are generally shy, reclusive spiders, but do tend to live in groups or clusters. Where there is one, there are many! Natural spider control and prevention. Keep the outside perimeter of your home free of tall grass and thick vegetation, especially near the foundation. Always check items that have been stored outside, in sheds or in garages for spiders and egg sacs before bringing them indoors. Make sure potential entry points such as doors, windows and screens are all properly fitted and tightly sealed. 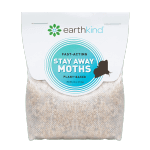 Also, take steps to prevent other common household pests such as ants or moths, as these can supply a food source for spiders. Preventing spiders in the home is easier than getting rid of them because spider poison is only effective if it is applied directly to the spider. Unlike other insects, spiders will not be affected by simply walking across poison that has been previously applied. After you have made sure your home is uninviting to spiders, go the extra mile and use a natural spider repellent like Stay Away® Spiders. Treatment of a poisonous spider infestation like brown recluse should be handled by a professional pest control firm. They are vey difficult to treat. Once the problem is under control, our products can help in preventing future infestations. Our CEO has been bitten twice by brown recluse spider, and fortunately survived. 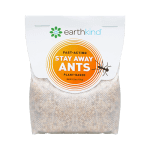 It’s one of the reasons she developed this product to prevent spiders (by repelling their prey) from taking up residence in a home. Please let us know if we can provide a PMP referral for you in your area. Already confirmed that’s what we have in our home. I’m pretty scared. As their name suggests, recluse spiders are reclusive and would rather be left alone than bother people. We totally understand not wanting to live alongside these spiders, but try not let it stress you out too much. 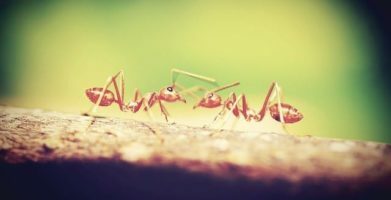 For professional pest control help, we’d recommend finding a local, licensed expert by using the National Pest Management Association’s resource: https://www.pestworld.org/find-local-exterminators/ Once the problem has been resolved, keeping a couple pouches of Stay Away Spiders in your home will help prevent reinfestation. What about finding one in a car? I put essential oils, ammonia, in the car, and left the windows cracked so they, if there are anymore, can leave. Tim, Please be careful using chemicals like ammonia since you will have to inhale that scent and chemical the next time you’re in the car. Leaving the windows open is probably a good idea for your health, but you could inadvertently let other pests in. The spiders should leave the same way they got in once you’ve made the environment unpleasant for them by adding a scent-based repellent. Thanks for reading! 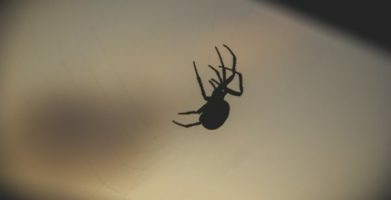 What would you do if your home was infested with poisonous spiders? It sounds like a horror movie plot, but that is exactly what happened to a family in Missouri. After buying a beautiful, golf course home, the family found out it had an extreme brown recluse spider infestation inside. Although brown recluses have a venomous bite, they aren't aggressive by nature and play an important role in their ecosystem. All the same, they probably don't make good roommates! Treatment of a poisonous spider infestation like brown recluse should be handled by a professional pest control firm. They are vey difficult to treat. 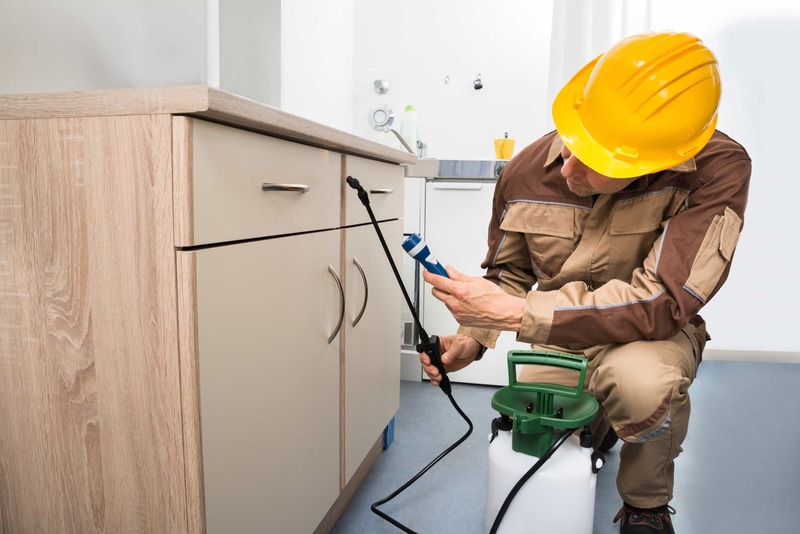 Once the problem is under control, our products can help in preventing future infestations. Our CEO has been bitten twice by brown recluse spider, and fortunately survived. 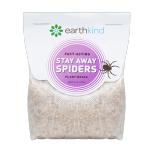 It's one of the reasons she developed this product to prevent spiders (by repelling their prey) from taking up residence in a home. Please let us know if we can provide a PMP referral for you in your area. string(36) "Brown Recluse Control and Prevention"